The School’s aim is to ensure the best possible education for present and future pupils of the school. Regular reports and presentations are made to the Board of Governors, which meets three times a year. Should a parent wish to contact the Board of Governors they must approach the Chair of the Board of Governors, Mr Hamad Al Qamra. The Chair of the Board can be contacted via the Al Qamra Holding Group website. Please note that parents should use the Qatar contact details. Alternatively, please contact Mrs Sarah Creedy, British Liaison Governor. Mrs Creedy can be contacted via the Governors Secretary, Mrs Jennifer Rothwell, on +44 01483 880665. Hamad Saleh Al Qamra, a successful graduate of the University of East London in the UK, started his career ten years ago through Real Estate. 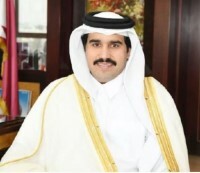 Hamad Saleh Al Qamra believes in his country and supports the Qatar National Vision 2030. He is working to implement strategies that will support society and develop the state of Qatar. His goal is for Al Qamra Holding to be one of the best companies in Qatar and he currently owns thirty companies working in different sectors with a total turnover of over 3 Billion US Dollars. 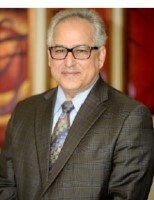 Dr. Hossam Eldin Mostafa is the Chief Executive Officer of Al Qamra Holding. He graduated from the Faculty of Medicine, Cairo University in Egypt and has also been awarded two Master Degrees in Medicine. Following his twenty-year role as Director of Diabetes at Cairo University Hospital Dr. Hossam Eldin Mostafa moved into business and became the President and CEO of Enhanced Promote and Fitness Fun Companies in 2008. In 2012 he was appointed the CEO of Al Qamra Holding Group and has since overseen a period of rapid growth. He now overseas thirty companies spaning the areas of logistics and facility management, real estate, agriculture, tourism and hospitality, education, industry, construction, trade, and health. Sarah Creedy is chairman of RGS Guildford and RGS Guildford International. She also sits on the governing body of a sheltered housing association in Guildford, is a director of Christians in Sport and chairs a housing company owned and financed by Guildford Borough Council. Sarah practised as a commercial property solicitor and is a parent of two former RGS Guildford pupils. 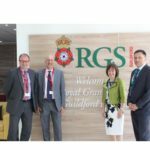 Henry Pearson is a governor of RGS Guildford and director of RGS Guildford International. He is managing director of Uniform Convergence Ltd, an IT and management consultancy, and works as a senior advisor on cyber security matters for the UK Government focusing on engagement with UK and overseas universities and governments. Henry was the first chairman of the RGS Foundation and was the chairman of RGS governors from March 2007 to January 2013. He is a parent of former RGS pupils.